That’s right, for just $199 per article ($139 if you’re a “Checkpoint” subscriber), you can buy that pesky content for your website that you didn’t have the time to write. And why would you do that? To boost your “thought leadership quotient,” of course! 1) Buying “thought leadership” puts you on seriously sketchy ethical ground. Your advertising, regardless the medium (website, social media, email, billboard, guy on the street yelling to passers-by), cannot be misleading. Why does that matter for ghost written blog posts? Well, are you sharing those posts in order to, as Thompson Reuters suggests, increase your “thought leadership quotient”? Sharing ghost written documents as your own product is probably a little misleading. Particularly so when one considers that the tendency to mislead is primarily in the eye of the beholder. That’s right – your intent does not matter. So if readers are likely going to be misled into thinking you wrote the post, you could be in trouble! 2) Buying “thought leadership” is the opposite of authenticity. One of the reasons, in my humble opinion, that my blogging has been reasonably successful is that it’s me. Just me. More specifically, it’s my authentic voice. I write with only a limited filter (usually to keep too much crass language out of some of my posts, especially when I’m writing about Florida), and I write my opinions, as I see them, in my own voice. 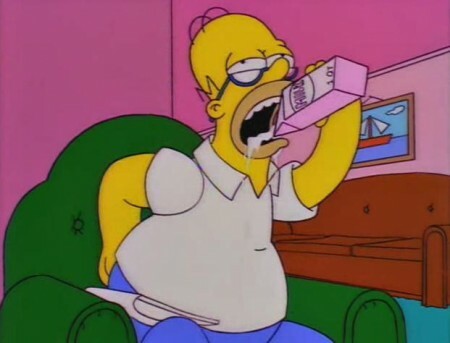 Nearly everyone I speak to about the content of my posts tell me that my writing is recognizable for it’s tendency to address important issues, but with a refusal to take those issues 100% seriously. Having someone write for you takes away that opportunity to develop an authentic voice. And trust me, readers will know. Don’t have time to write a long blog post two or three times per week? Then link to other things you read, using quotes from those pieces where permissible, and add commentary. It doesn’t have to be long, but it’ll be your thoughts, concerning an issue or article that you find important. 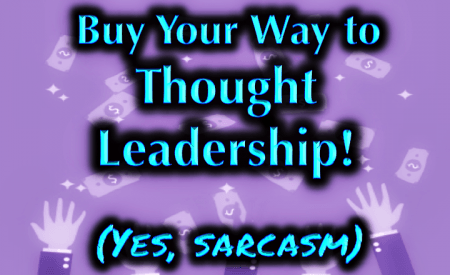 3) Buying “thought leadership” will kill your website ranking! That’s right, it’s actually called fodder. Sure, one definition of “fodder” is “raw material.” However, even that definition implies that you’re not going to simply cut-and-paste the entire article, unchanged, into your content marketing (which Kevin points out is quite likely to happen). Did you know that Google punishes websites that produce duplicate content? That’s why I don’t re-publish my own posts just to try and get more hits (well, that and because I’m not an assh@le). Sure, Thompson Reuters says that they have “thousands of articles” for you to choose from, but how many of those are in your practice niche? Ok, and how many other attorneys from your practice niche are likely to buy those articles too? Wouldn’t it be terrible if, in an attempt to boost your credibility with clients, you sent your entire email list an article that you claimed as your own (because you did pay $199 for it, after all), only to learn that one of your competitors sent the identical article out earlier in the week? I’d be asking which one of your is plagiarizing. I’d also be asking my new lawyer, because I certainly wouldn’t be associating with you anytime soon. Honestly, this really appears to be little more than a way for Thomson Reuters to cover some of their losses from subscriptions. Lexis long ago got into the business of providing a wider-variety of services to law firms (although similarly exorbitantly priced) than just publishing, so Westlaw has a lot of catching up to do. However, this is a really bad start. Maybe the service will be a flop, and the few attorneys who do buy posts will see phenomenal value because they’ll be the only ones using it. I kind of doubt that’ll be the case. Lawyers can be a lazy bunch when it comes to networking and internet marketing. Sounds to me that’s exactly what Thompson Reuters is banking on.